Will You Shine A Light Of Love this Christmas? IT WAS THAT TIME OF YEAR AGAIN, another summer had flown by and there was more than a nip in the air. It was as she was making her way through the busy market place that she heard the crisp clear notes of a brass band cutting through the frosty air; the first carol this year. Christmas was on its way again and there was nothing she could do to stop it. She stopped right there, not knowing whether to laugh or cry at the poignancy, he did so love to hear a brass band, especially at Christmas. Smiling at the memory of such happy past Christmases spent together, she decided there and then that she would dedicate a Light of Love for him as soon as she got home. What is a Light of Love? A Light of Love is a wonderful way to commemorate the life of someone you love, celebrate how much someone means to you, say thank you for everything someone has done for you and celebrate a special occasion. 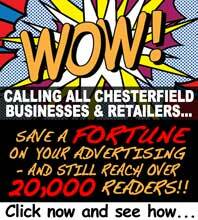 As well as being special to you, your donation will be helping to raise funds for Ashgate Hospice. Every penny goes towards the care of patients and their families and makes a vitally important contribution to the services that Ashgate Hospice provides for the local community. Last Christmas over £40,000 was raised in this way and really made a difference to the lives of local people and their families. Everyone who dedicates a Light of Love will receive a personal invitation to attend the switch-on ceremony at Ashgate Hospice on Sunday 12th December 2010. Your Light of Love will join the many others decorating the special Lights of Love trees. These special trees, all situated in the grounds of Ashgate Hospice, will shine brightly throughout the festive season, providing a poignant and tangible reminder of the people we love and wish to remember, especially at Christmas time. It will be a truly memorable occasion for everyone. For a donation of £5 or more, you will receive a Lights of Love dedication card printed with your personal message to keep and display. If you choose to donate £20 or more, in addition to your dedication card, you will also receive a special heart-shaped Lights of Love Christmas tree decoration. Every dedication will also be placed on one of our virtual trees online by visiting our Light of Love website. 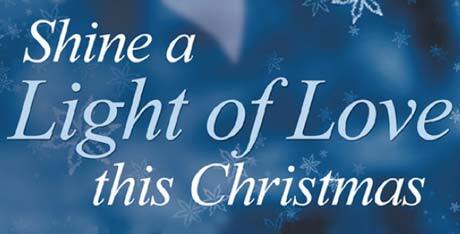 You can dedicate a Light of Love today by logging onto our Lights of Love website by clicking here and following the links to our special Lights of Love page where you can dedicate online. O r alternatively, please call our Donations Hotline on 01246 567250 to dedicate over the phone or for an information leaflet.